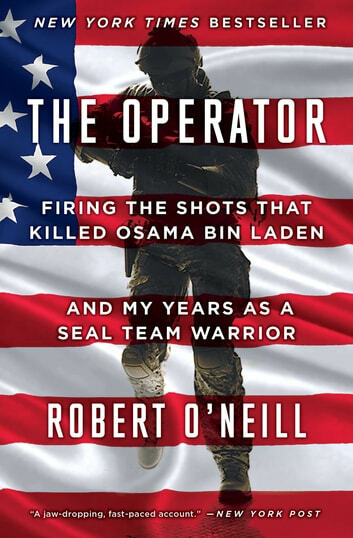 In The Operator, Robert O’Neill describes his idyllic childhood in Butte, Montana; his impulsive decision to join the SEALs; the arduous evaluation and training process; and the even tougher gauntlet he had to run to join the SEALs’ most elite unit. 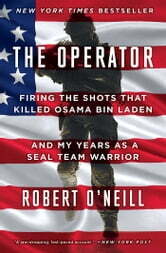 After officially becoming a SEAL, O’Neill would spend more than a decade in the most intense counterterror effort in US history. For extended periods*,* not a night passed without him and his small team recording multiple enemy kills—and though he was lucky enough to survive, several of the SEALs he’d trained with and fought beside never made it home. Enjoy SEAL stories. Well done sir. Thank you for your service. Such a fun read, the mission stories were great, but also the behind the scenes stuff was great. Finding out what they did between missions made for fun reading. Such a great book. Well done Rob! Thanks for sharing your experiences! Wonderful book very well written hard to put down once you start reading. Robert you have pleased thousands of Americans with 3 perfect shots. Remarkable book. Page after page was filled with incredible details of planning and courage.